‘In My Humble Opinion’ is a BBC Ideas site. I met them at BBC Radio 3’s Free Thinking Festival at Sage, Gateshead, earlier this month. They recorded my thoughts about our loss of knowledge about normal dying. Dying – not as bad as you’re probably expecting. Well, I am just thrilled and astonished. With the End in Mind is amongst the six books on the Wellcome Book Prize shortlist. What an honour! I’m going to read these five intriguing books, before we six authors meet up for the Prize Ceremony and announcement of the winner on 30th April. Take a look at the list, and pick your own favourite. They all look like winners to me! Great to chat about dying, death and life in general with Arifa. Our discussion included how it feels to spend a lifetime working with dying people. Arifa: What are the emotional and psychological effects of working in palliative care for so long? Do you think you value the life you have more as a result, or feel its fragility more keenly? Kathryn: I get asked this a lot, and I still don’t have a good answer! Palliative care has been the most rewarding combination of clinical detective-work, therapeutic challenge, emotional fulfilment and occasional heartbreak. It has suited me, and hasn’t felt over-demanding – although it has certainly eaten into my family and personal time down the years. Here’s our chat in full. With the End in Mind is one of the 12 books long-listed for the Wellcome Book Prize 2018. 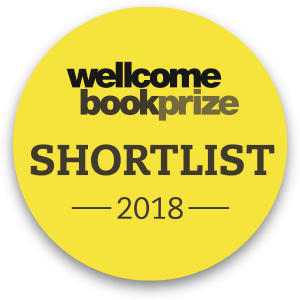 Read about all the nominees here: it’s a fascinating, wide-ranging and thought-provoking list.